When the phrase “internet marketing” is thrown around, most small business owners cringe a little. It’s not because they believe they’re doing a bad job, but it’s probably because they feel they could be doing more. Internet marketing is so complex and there’s always so much to do that that it can be overwhelming. However, if you break it down into five segments, it makes things a lot easier. 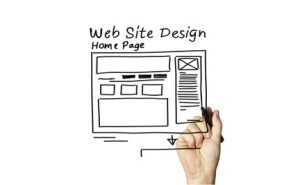 Web design is one of the most critical components of an internet marketing strategy. While other areas seem to garner most of the discussion, web design is equally important. Without an investment in quality design and site navigation, you won’t be able to convert the traffic you attract. Your goal should be to design a streamlined website that’s unique enough to catch the user’s eye, but simple enough to be intuitive. One of the best tips anyone in the industry can give you is to focus on each design element as if it had to stand alone, without the support of the rest of the site. By doing this, you ensure everything represents your brand well and connects with site visitors. 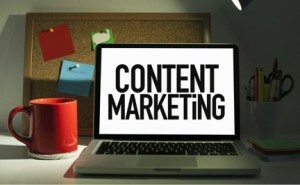 While web design grabs the attention, content seals the deal. Ultimately customers want information on the products and services you offer, and site copy is the best way to inform. The majority of consumers perceive traditional site content as more reliable than advertisements or paid referrals. When developing a content strategy, you need to keep the brand in mind. Your brand should have its own language and style. This will help humanize your company and instill comfort and trust in the reader.Accordingtoresearch from Marketing Sherpa, an organized content strategy can directly lead to a 2,000 percent increase in blog traffic and incredible 40 percent revenue boost. While SEO is the heading, this segment can be broken down into two major sub-categories: standard SEO and local SEO. Each feeds off of the other, but both are unique in their own ways. Standard SEO refers to your overarching search marketing strategy, while local deals with customer reviews, directory listings, and very specific local keywords. 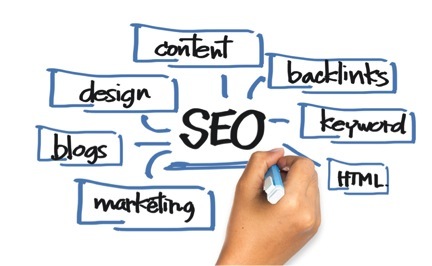 While SEO is one of the most costly aspects of online marketing, it also brings the biggest return. This is best exemplified by the fact that 70 percent of all links clicked by search users are organic – not paid. While the majority of clicked links are organic, don’t underestimate the value of paid advertising. That 30 percent share of the clicks can amount to some pretty big returns. When approaching paid advertising, pay-per-click ads are deemed the most valuable. Additionally, among the various pay-per-click options on the internet, Google AdWords are considered the best, because they have the potential to reach the largest audience. The fifth major component of internet marketing is social media. When used properly, networks like Facebook, Twitter, Google+, and Pinterest have the potential to help you reach a large audience at little or no cost. When using any of these various platforms, remember that the goal is to build a community. You want to use these networks to engage with your audience, inform them on industry issues, and gently persuade them to visit your site or complete some other conversion. Social media is one of your biggest tools for generating traffic and acquiring leads. Do you have a strategic internet marketing plan that incorporates elements of each of these five categories? If not, it’s important that you develop a sustainable online marketing plan that pushes your business forward. At digiTech Web Design, we offer some of the top web design, search engine optimization, and pay-per-click advertising campaign management services in the industry. For additional information on how we can help you craft a plan, please contact us today!